On January 6, 2011, Miguel Del Valle took the time to visit Chicago Clout at Can-TV. Migeul Del Valle would make an excellent Mayor and a great leader for Chicago. Make sure you watch him closely on Channel 21, January 18Th, 2011. This is the link for Miguel’s website http://www.delvalleformayor.com/ Please contact and help this campaign for Mayor. 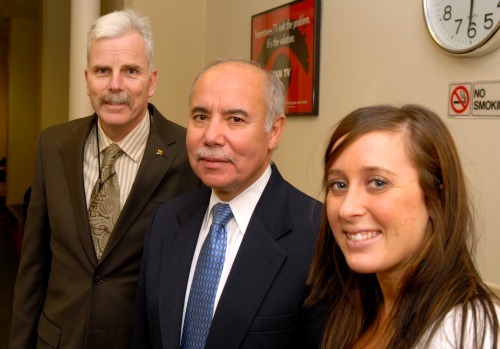 Photo from left Chicago Inspector Michael McGann, Miguel Del Valle, and Tamara Edwards. Photo by patrick mcDonough.